We offer a hydrobath service for dogs of all sizes and breeds. We will use the appropriate shampoo and condition for your pets skin type and condition. 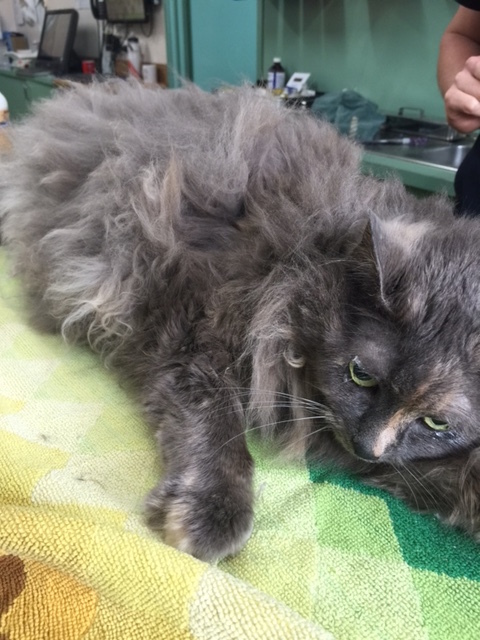 We offer cat clips under sedation for a fear free experience. 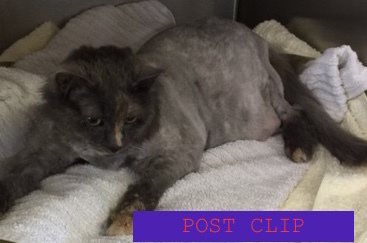 Our cat clips are done with clippers not scissors. See the images below for the results of our cat clip. We do not offer other types of cat clips. This is a kitty following his groom. The head, tail and "socks" are left. The rest of the body is short. 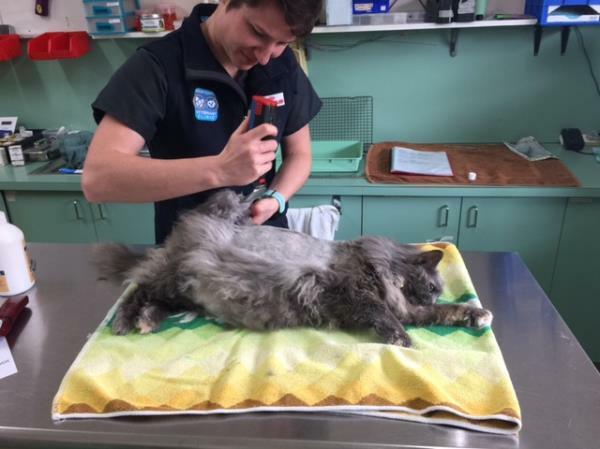 We also offer medical grooming for dogs such as bum clips, matts, hot spots and long hair around the eyes.